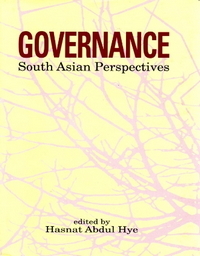 Hasnat Abdul Hye was a Fellow at the Queen Elizabeth House, Oxford (1989) and a Visiting Scholar at the Centre for South East Asian Studies, Kyoto University (1995). His publications include: Local Level Planning in Bangladesh (1982), Agrarian Reform for Bangladesh (1982) Integrated Approaches to Rural Development (1983), Village Studies ed. (1985), Decentralisation, Local Government Institutions, Resources Mobilisation ed. (1985), Notes from Rural Bangladesh (1986) Integrated Rural Development Bangladesh (19 89), Integrated Rural Development: A review of major Issues (1991), Co-operatives -Comilla and after (1993), Below the Line: Rural Poverty in Bangladesh (1996).